From Bridget, Adam and all the Wuiske Models Team, we would like to wish you all a very safe and happy Easter. Wuiske Models is VERY proud to announce the release of the RTR HJS Open Wagons. 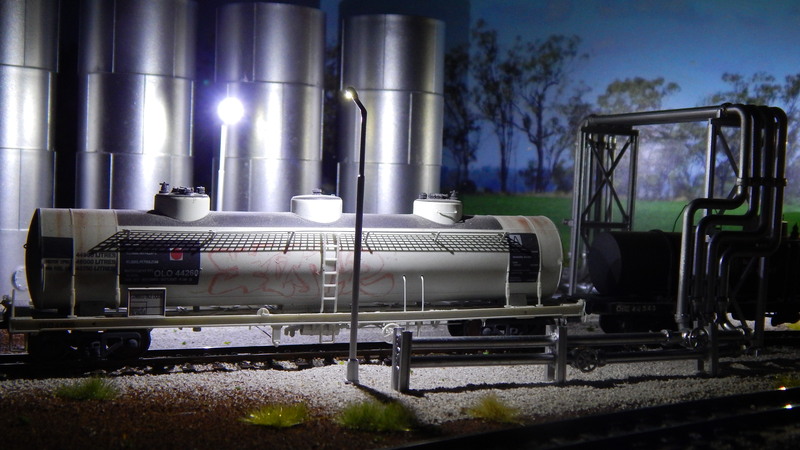 This represents our 10th RTR model as well as our first to be mass produced right here in QUEENSLAND! The HOn3½ gauge models can be found here. 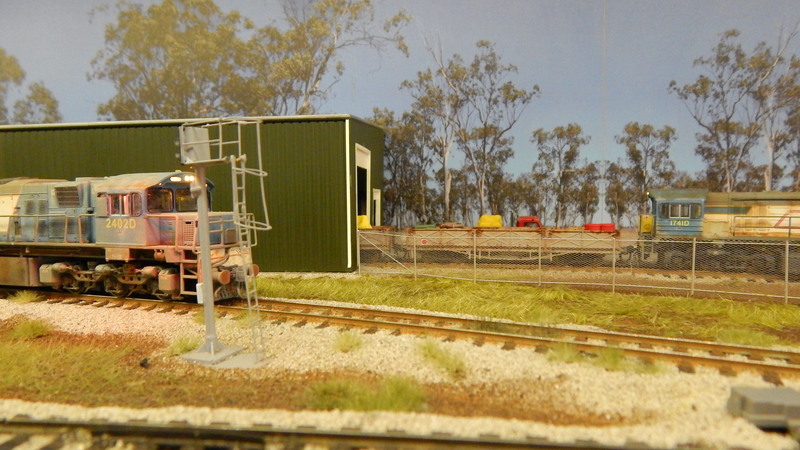 The HO gauge models can be found here. On behalf of the Wuiske Models team, Happy Father’s Day to all you dads out there. Hopefully you get to spend the day working on your modelling projects. Wuiske Models, again in partnership with Haskell Co of Taiwan, are proud to announce the release of the fifth mass produced Ready To Run locomotive for the Queensland Modeller. 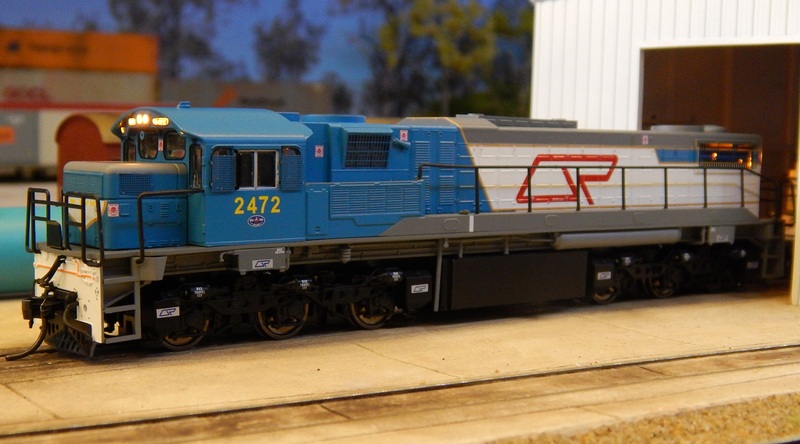 The 2470 class are the most common of all the 90 tonne locomotives built to this design. The 38 members of the 2470 class were introduced from 1980 to 1983. The majority of these units were held in coal traffic throughout the 1980s with only a handful being released to general traffic. By the early 1990s however, all members were in general traffic and could be seen in all areas of the state. 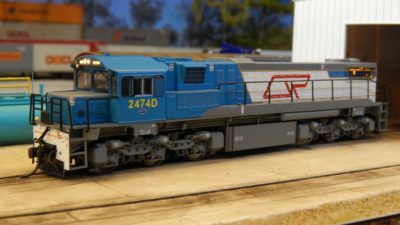 We are still awaiting the arrival of some models through customs but have (at the very least) a small number of each running number in both gauges in stock and available right now. As ever with us, we have kept the price the same at $295.00 per locomotive. 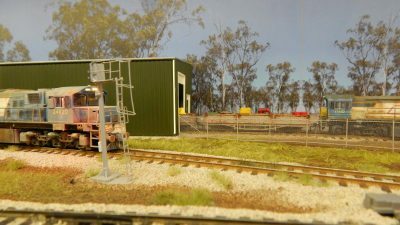 We’ve added several more flavours (seriously, don’t eat these, they will tickle your throat) of Static Grass to the Scenery section of the catalogue. 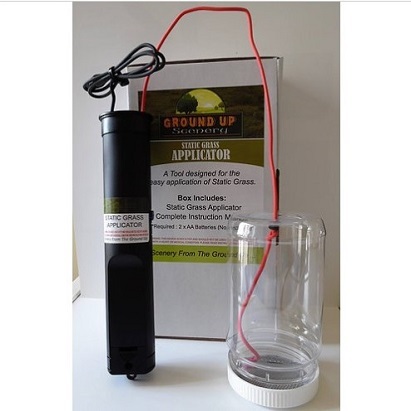 As well as this, we’ve added the high quality Ground Up Scenery Static Grass Applicators. 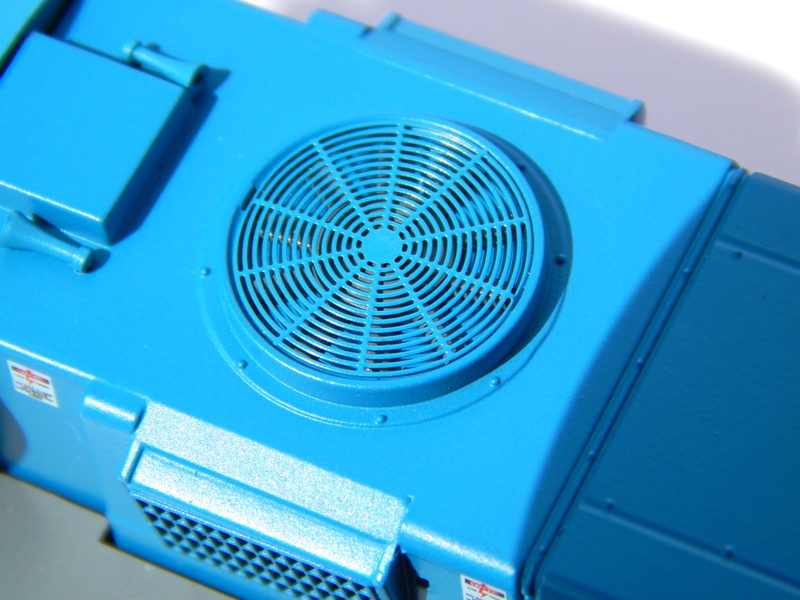 These are a brilliant little device that are made by a Queensland company! We’ve enabled comments on the Adam’s Corner page as requested… This could be entertaining. 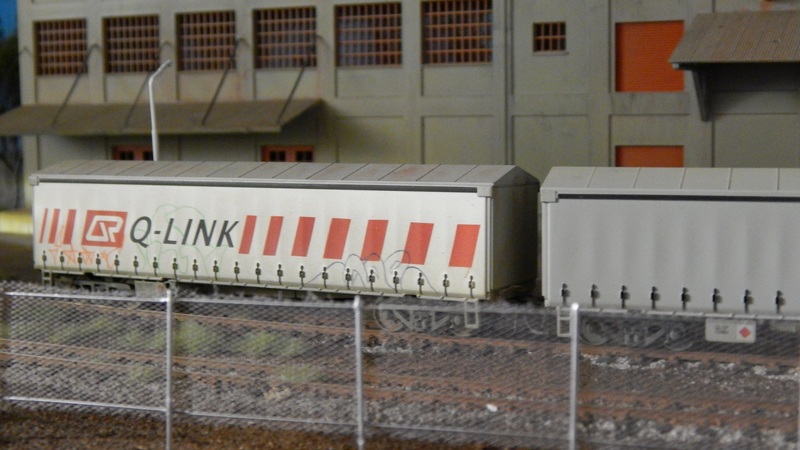 Our catalogue is now fully BACK UP AND RUNNING. We apologise for the inconvenience. The new catalogue and shopping cart is fully secured and encrypted for your protection. Please note, you will need to take a few seconds to create an account. As mentioned a few days ago, here are the final details of the FOURTH locomotive to be released for Queensland Modellers. 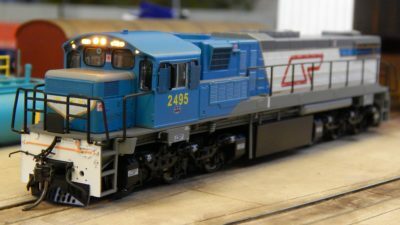 The 2100 class proud to be released by Wuiske Models in partnership with Haskell Co. 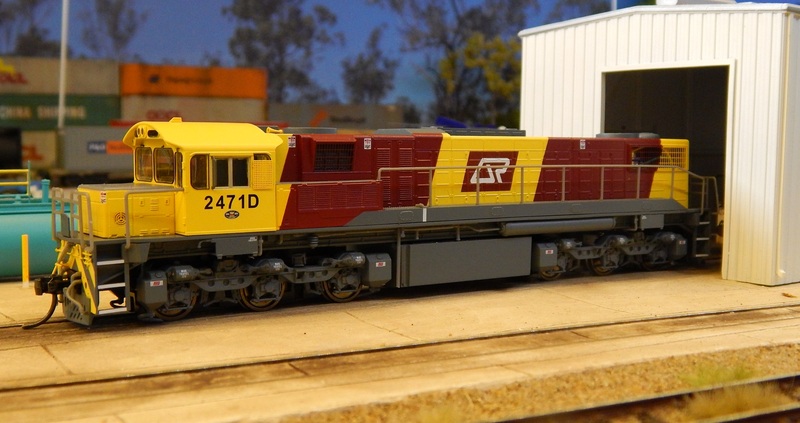 These new locomotives are now available and ready to be sent. 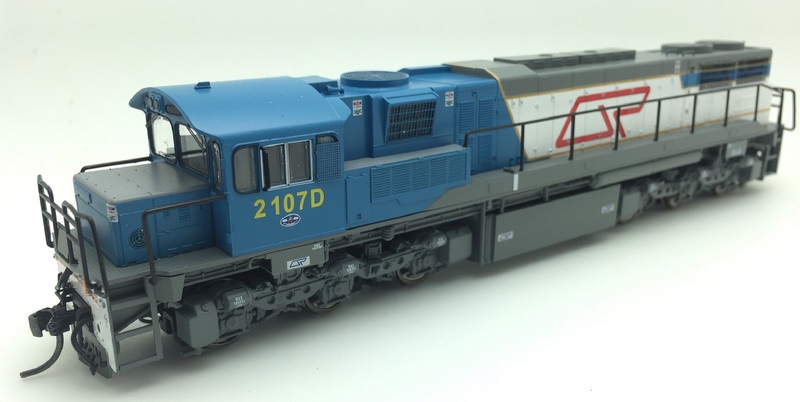 These models are available in SEVEN running numbers, three in original (high nose blue livery), two in driver only blue livery and two in driver only corporate livery. Some running numbers have already proved to be ridiculously popular and are dwindling in number. The new 1720s are available to all and selling fast. 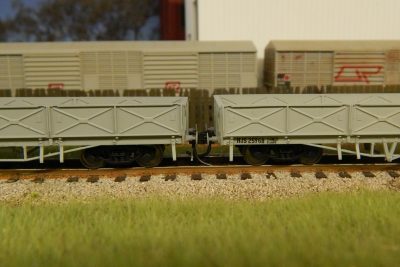 There are 18 running numbers available in both standard HO (16.5mm) gauge and Narrow HOn3½ (12mm) gauge. 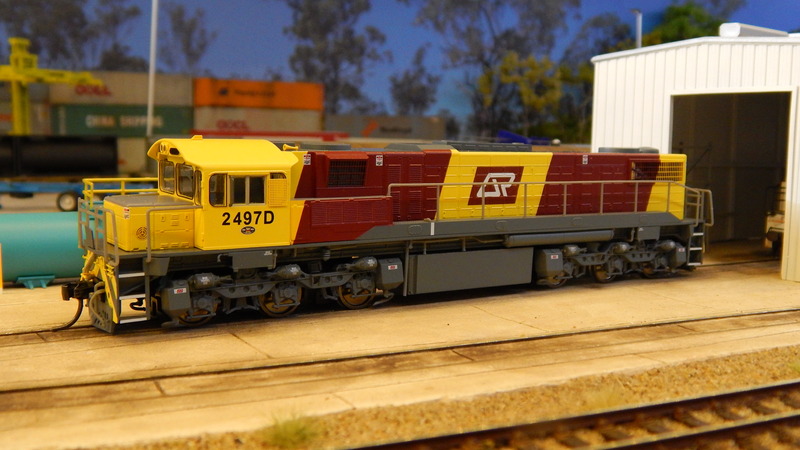 Some numbers (such as the bicentennial liveried 1723 are selling fast. 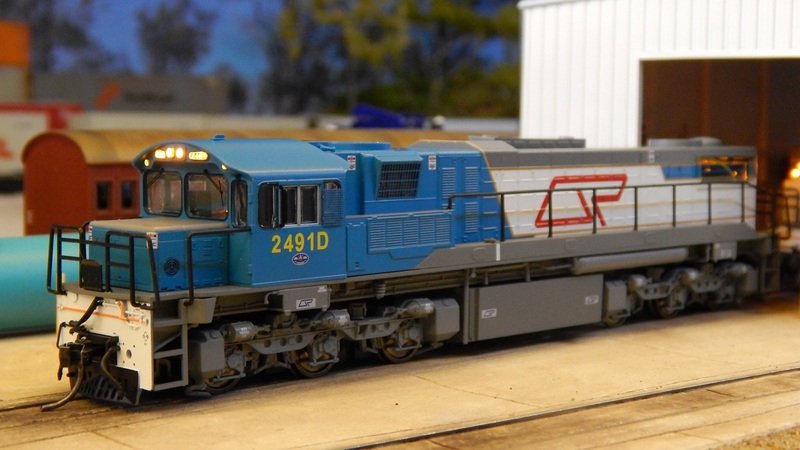 The two models of 1770 “James Cook” are selling fast also. 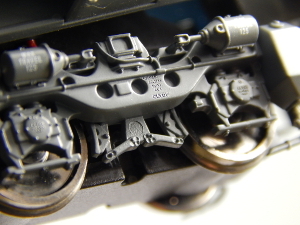 As with all of our Ready to Run models, the 1720s come fitted with genuine Kadee #158 couplers which can be set for either the correct Narrow Gauge height or the Standard Gauge height as desired. All models are fitted with a standard NMRA 8 pin DCC plug and are fully DCC ready. The price remains the same at $295.00 each. With the 1720s getting ever closer. 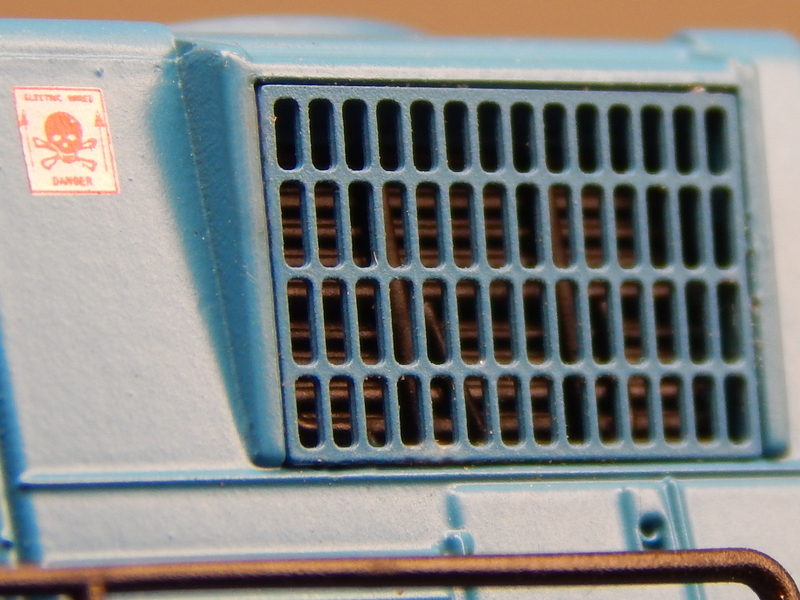 Here are some photos of the models on the production line. With Chinese New Year upon us, this has added to our small delay. 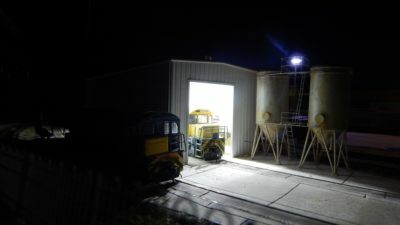 But as you can see in the following photos, there is not too far to go now. The production had one or two issues that we needed to sort out to ensure the running qualities were up to the standard of our previous locomotives. We’re happy to say that ALL issues have been resolved and all 18 running numbers will be available soon. At this stage we are looking at around two more months for production to be completed. As with everything we shall see how we go on this front. But this is where we’re currently up to. PLEASE LET US KNOW IF YOU INTEND TO ATTEND SO WE CAN ENSURE THERE’S ENOUGH GRUB FOR ALL! Wuiske Models and Haskell Co are proud to announce the upcoming 1720 class locomotives. Read about them in Chapter 105 of Adam’s Corner. See chapter 96 of Adam’s Corner. 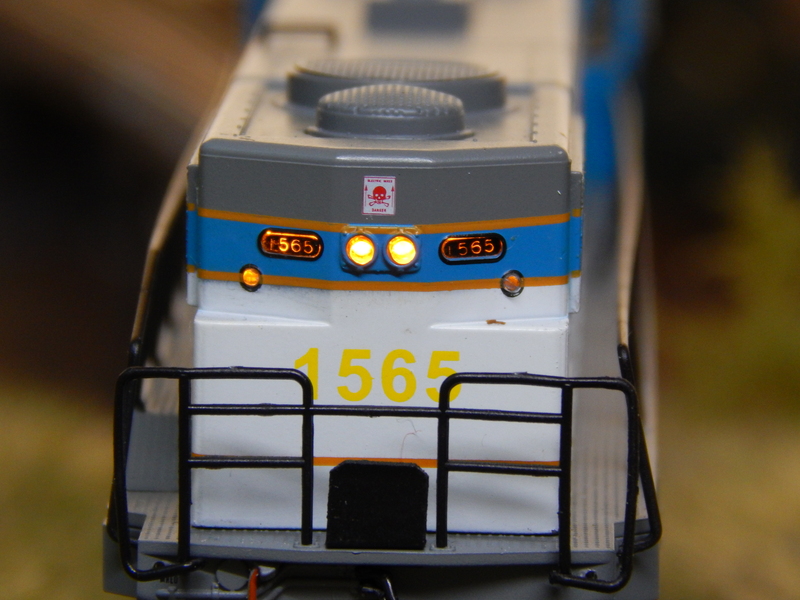 Wuiske Models and Haskell Co are proud to announce the arrival of the 1550 and 2400 class locomotives. These are now available from our online cart.